A fall plush can be a great decorative element in any room. Come October, folks love to see a festive environment accented by bright yellows, bold reds, oranges and ochres. 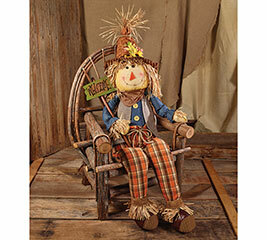 Imagine a plush scarecrow surrounded by balloons on either side of the door, welcoming you in. A plush witch flies overhead as a chair at your dining table is occupied by one of our expendable leg plush turkeys. Don’t be fooled into thinking that a plush is just for kids. Adults love them, too. 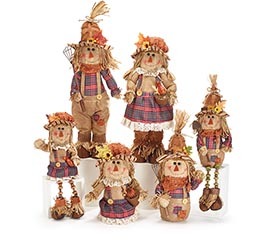 Place our 6 piece scarecrow family on your family room. It’ll make any guest smile. And our pilgrim turkey will have everyone in stitches! Save big when you buy in bulk from burton + BURTON. With easy online ordering and a fall plush selection that others envy, you’ll be well positioned for the upcoming fall season. While you're at it, get ahead on your Christmas and Easter gift buying. When it comes to our retail customers, we aim to please. We know that when you’re looking for fall stock, you want more than just a fall plush. You want old fashioned value. That means wholesale pricing. With wholesale fall plush pricing and express mail options, we mean it when we say “we deliver!”. Just register with b+B as a retailer and open an account. This simple process gives you access to the best, wholesale pricing, a superior customer service team and exclusive industry educational materials. Best of all, you get 5% off your first order with us. Our incredible customer service team is just a click away. Use our live chat to get answers in real time regarding ordering, product or discounts.